Matt Huffman says his changes make the bill better; consumer advocates disagree. Some major proposed changes are coming to a bill that passed the Ohio House overwhelmingly earlier this month cracking down on the payday lending industry. Borrowers here pay an average of 591 percent annual interest, the highest in the nation. Statehouse correspondent Karen Kasler reports while one Republican senator is hoping for a compromise, supporters of Houses-passed crackdown are furious. Changes in the House passed payday lending bill were expected, but Sen. Matt Huffman of Lima showing up at this hearing to present them was a bit of a surprise. And so, too, was some of what he said. Huffman spoke to reporters after more than an hour of presenting his proposals and answering questions from senators. They’re looking over a bill that was completely unchanged by the House since it was introduced 15 months ago. That’s very unusual, especially since a deal to alter it was scrapped in a House committee. He’s also proposing a ban on interest-only loans, a cap on loans of $2,500, a six-month maximum for loans under $500, a requirement that lenders to tell customers about other credit options and an increase in time to cancel loans. Huffman says his plan would cut off credit for some borrowers, but also says that the quick loan operators that he calls the “overbuilt big corporate lenders” will take a bashing. “I vehemently disagree and I’m sorry that he has that opinion because it is absolutely wrong,” said Nate Coffman, who speaks for the Ohio CDC Association, which supports the current House bill and is shocked by Huffman’s proposals. Coffman has been working with Springfield pastor Carl Ruby, who disputes nearly all of Huffman’s claims, especially the one saying if the House version of the bill passes, most people won’t be able to get loans and the payday industry will shut down. “There’s still going to be payday loans stores. They’re still going to have access. That’s a scare tactic. If the payday lending industry were to create a bill, it would be the bill Sen. Huffman just suggested,” Ruby said. All but one of those who testified at the Senate hearing support the House plan. That one was Ashish Gandhi. He owns a small payday lending operation called Cash Plus Silverton in Cincinnati. “I know the truth behind this law – the goal is to put us out of business. It always has been. This 13-page law that I read really could be one paragraph, and all that paragraph has to say is the max we can charge is a $20 monthly fee and 28 percent rate, period. That’s the end of the story, because that’s all it takes to put me out of business,” said Gandhi. Huffman calls his changes an attempt to find the sweet spot between what other states are doing and the House plan. But one senator noted that his changes are a significant rewrite of the bill – as lawmakers are trying to get away to campaign for this fall’s election. Ruby said he’s hopeful some sort of crackdown on payday lending will pass before the end of the session in December. Community leaders say they’re tired of waiting for lawmakers to cap the interest rates for payday loans, which can reach as high as 600 percent. The issue of faith comes into state politics in issues such as abortion and health care. But faith leaders came to the Statehouse today to speak out on another issue that hasn’t seen much action in nearly a decade – payday lending. 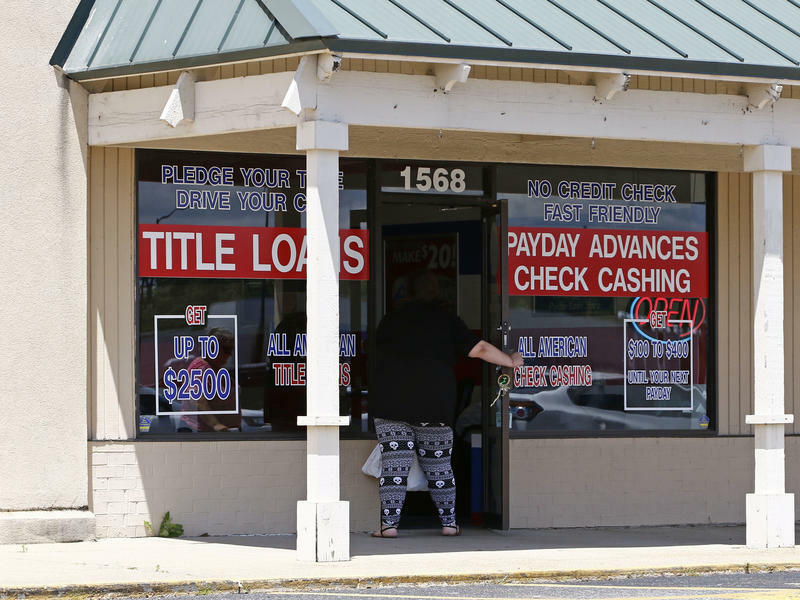 A battle is brewing over payday lending in Ohio. There are more than 650 storefronts in the state but the industry argues that a new bill threatens to shut them all down. However, consumer advocates say payday lending has been skirting around state law for years to prey on desperate borrowers. Denise Brooks, a single mother from Cincinnati, was desperate to pay her car insurance bill. So she took out a loan from a payday lender.